Do you want to achieve financial confidence? We help individuals, families and businesses get organized so they can be financially confident. Take control of your financial future by accessing our software that keeps track of your finances and monitors your progress towards reaching your goals. Put your money in the right places at the right time with a tailored investment strategy that optimizes your portfolio and maximizes your chances of return. Avoid common tax pitfalls and unwanted implications with proactive advice and support that will help guide you as you make important financial decisions. Empower our clients through ongoing education, transparent communication and service that exceeds your overall expectations. Alexander Dinser is a CERTIFIED FINANCIAL PLANNER™ with Horizon Advisers. 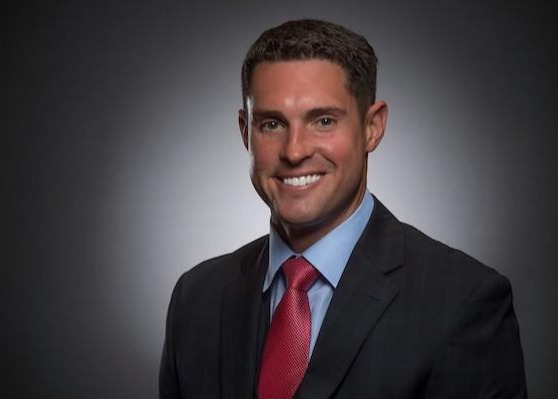 Alex began his career in 2007 with MetLife, before graduating with his bachelor’s degree in Finance from Western Michigan University. He continued his studies at Oakland University to obtain his CFP® certification in 2010. 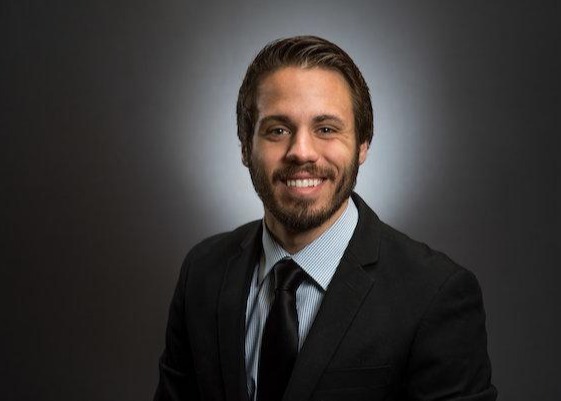 While studying, Alex spent over four years working with MetLife, growing his financial planning practice and becoming one of the youngest, top advisors in Michigan. Due to the “Great Recession” and tough economy many Americans faced at this time, Alex was able to gain a wealth of knowledge surrounding capital markets and personal financial planning. In February 2012, Alex left MetLife to gain independence as a financial advisor and provide a variety of services to better fit his clients’ individual needs. Currently, Alex teaches at Oakland University in the same CFP® program from which he graduated. He has also earned the designation of Chartered Financial Consultant (ChFC), with a concentration in estate planning. Alex is an accomplished financial planner with a dedicated aspiration to help each person he encounters. He has been mentioned in several national publications, including Hour Detroit magazine and Investment News. Alex enjoys interacting with his clients and having a personal relationship with them and their families. His dedication to this business is displayed through his passion for planning and helping people meet their financial objectives. Alex is a proud alumnus of Orchard Lake St. Mary’s Preparatory Catholic High School. He enlisted in the Air Force National Guard after graduating and proudly served with honors for nine years. In 2007, he completed a tour in Balad, Iraq during Operation Iraqi Freedom. Alex currently lives in Royal Oak with his wife, Jessica, daughter, Adalyn, and son, Brady . He enjoys bow hunting, fishing, recreational golf, and spending time with his family at their up-north cottage. Ryan Kus graduated with high honors from Rutgers University in New Jersey in 2003. Following graduation, Ryan took a sales position with the insurance company American Income. There he found immediate success, and after one year, took a management role where he organized and then led a team of ten salespeople. Ryan was off to a great start, but he felt a desire to help people in a deeper way. In 2005, Ryan was recruited by MetLife’s second most productive office to work as a financial advisor. While there, Ryan built an independent company that focused on working with business health insurance and employee benefits. This really took off, and by 2008 his team was working with over 135 companies. That same year, Ryan married his wife Rachel, sold his employee benefit business, and moved to Plymouth, Michigan. He continued his financial planning practice in Ann Arbor, Michigan. 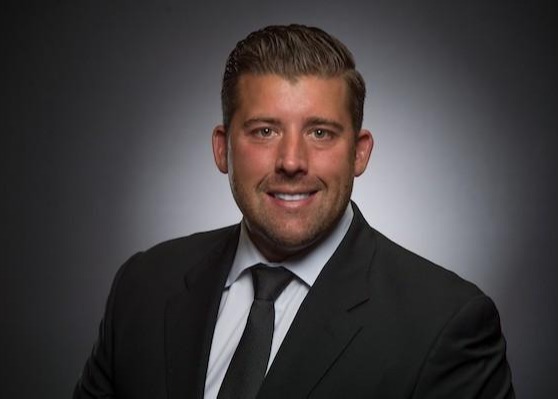 In 2010, Ryan was approached by M&O Marketing, a national marketing organization located in Southfield, Michigan, and was offered an executive position with the company. He was responsible for building a new division with a focus on distributing financial products to financial advisors around the country. During this time he wrote the book “Got MELC?” and wrote articles for “Life Insurance Selling,” a national trade journal. Ryan separated from M&O Marketing in 2013, to help create Horizon Wealth Management, the predecessor to Horizon Advisers. 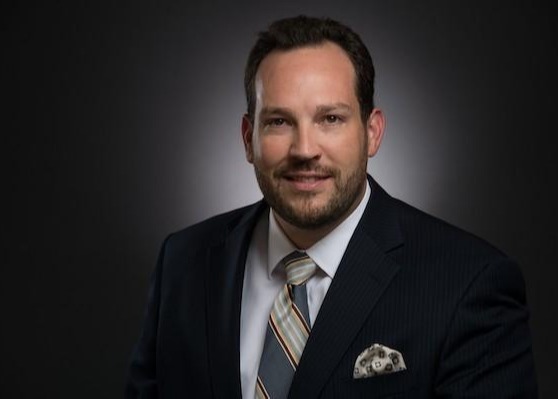 He uses his past experience to assist his clients in working toward achieving their goals, and utilizes his leadership skills to continue to expand the Horizon team. In 2015, Ryan helped put together an acquisition of a CPA firm, and then in 2016, Ryan helped create Horizon Advisers and merge two other tax practices. I currently reside in Plymouth, MI with my wife Rachel and daughter Charley. I moved around a fair amount as a kid. I have spent parts of my life living in Michigan, New Hampshire, and New Jersey. My favorite sports are basketball, football, and tennis. One of my passions in life is traveling, and while I have been all over the world, I have many stops to go. I value hard work. My mother and father were both Marines. We grew up with little and in our home, hard work was a way of life. I still embrace this today, and will always appreciate this quality. I have had to overcome great obstacles in my life and have learned from each one. My greatest being the death of my sister and mother when I was 17 and 19. Dennis Glasson is a Certified Public Accountant and started his public accounting career in 1999. He has a Bachelor's of Business Administration, major in Accounting, from Western Michigan University where he was a member of Beta Alpha Psi, an international honor organization for accounting students. Dennis uses his technical knowledge to provide full spectrum tax, accounting and business consulting services to his clients. He applies this expertise across a broad range of industries including, but not limited to, medical practices, law offices, construction, non-profit organizations, manufacturing, real estate, retail, wholesale distributors and trusts. Tax services (Individuals, Partnerships, LLCs, Corporations, Trusts and Non-for-profit organizations) including preparations, analysis, planning and representation before taxing authorities. Extensive general business planning and consulting. Accounting services including: audit, review and compilation of financial statements, financial forecasts, cash flow analysis, projections and budgets, retirement plan consulting and bookkeeping. Mark Merski is a tax accountant and self-employed business owner who has been working in the industry since 2005. 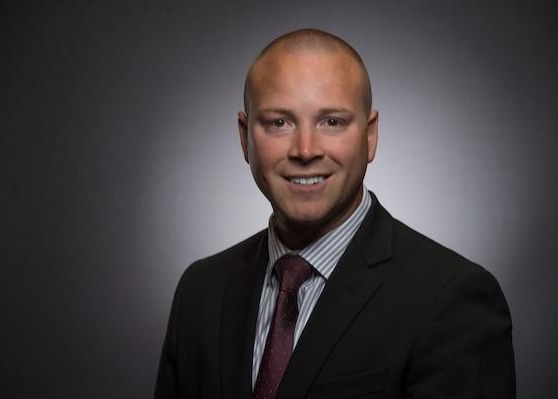 Mark joined his father’s practice in 2007 after graduating with a finance degree from Michigan State University and a master’s degree in taxation from Walsh College. He went on to take over the business and expand it to what it is today. Mark grew up in Northville and attended Catholic Central High School. He bought a home in Northville three years ago and currently resides there. His expertise is individual tax preparation and small business accounting. Mark delivers a unique style of tax preparation often not seen in the industry. The client sits down across from him at the table while the tax return is actually prepared. The client comes in with their paperwork and leaves with a finished product. This approach ensures a timely, efficient, cost-effective savings to both parties. Mark recently merged with a partner and is going to be expanding his practice again. His father Terry Williams, who originally founded Wisley & Williams – the current firm Mark is managing, still works with him to this day. Mark has learned a level of personal service from working alongside his father and transitioning into running a tax practice with more than 500 individual tax clients. Wisley & Williams is not affiliated with Voya Financial Advisors. Alexander focuses in working with individuals, young families, retirees and business owners to assist them in attaining their financial goals. He takes time to understand what his clients truly want and applies advanced concepts to help achieve clients’ goals. Alexander uses investment strategies to bridge lump sum pension buyouts; life insurance and the benefits to loved ones, disability insurance and long-term care insurance to formulate a sensible strategy that will endure for the long haul. Alexander is dedicated to bringing added value to the consulting process by assessing his clients’ immediate needs and ensuring their future goals are considered part of a long-term plan. Alexander’s approach to consulting with his clients is based on a four-step process that identifies financial concerns: addresses client concerns, recommends short-term solutions, recommends long-term solutions, and implements recommendations. He is focused on building life-long relationships with his clients and following through or modifying strategies as necessary over the life of the client relationship. Alexander can recommend strategies for protecting against an unanticipated loss of a wage earner, a crippling disability, or a long-term care event that would put a financial and emotional strain on a family. Alexander is an Oakland University Business Finance graduate and is engaged in the local community by volunteering his time performing community service at his church. He is also engaged as a volunteer for the Wounded Warrior Project and helps raise funds for wounded veterans. Alexander has a passion for the outdoors and enjoys following college and professional sports. He spends his leisure time improving his golf game and plays at many of Michigan’s most challenging golf courses. He also enjoys traveling to experience new cultures and languages. Alexander currently resides in Addison Township, Michigan with his wife Rachel and daughters Kennedy and Presley. 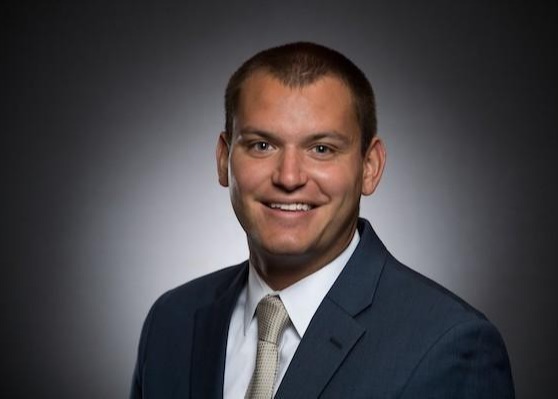 Andrew Hinrichs graduated with honors from the University of Dayton in May 2018 with a degree in Marketing and an emphasis in Sales Management. Andrew has always had an interest in finance and investments, so he decided to work as an intern in the wealth management business during the summer of 2017. While there, he gained valuable firsthand experience of the industry that he could utilize and apply throughout his final year in college. Andrew enjoys communications, such as public speaking and presenting. Throughout his college career he continuously stood out as one of the best public speakers in his class. After impressing multiple companies through his internship, he knew that he was passionate about financial services. After finishing he degree, Andrew was driven by the motivation to start his financial advising career and was able to complete all his financial license exams within a few months. Andrew holds the FINRA Series 66 and Series 7 registrations, which allows him to sell securities and makes him an Investment Adviser Representative with Voya Financial Advisors. As Andrew begins his career, he is looking forward to bringing a unique approach to financial planning. Andrew currently resides in Northville, Michigan. He has had the privilege of traveling the world from a young age, and has lived in the USA, Canada, and China. He has also spent time visiting far away countries such as Australia and South Africa. His travels have been a formative part of his life and have allowed him to learn a lot about the world along the way. Andrew is passionate about sports, but soccer and football are his favorites. His hobbies outside of work include hunting and camping, and he has found that nature allows him to get away and enjoy himself. Andrew values hard work and fairness above all else, and he believes that the end results are a product of the effort put in. He applies these values to both work and his personal life. He pushes himself to succeed at any task he undertakes, while refusing to cut corners along the way. Christopher T. Roberts is a Senior Partner at Horizon Advisers. As a Financial Advisor, Christopher has over 24 years of experience and is dedicated to using his knowledge to help his clients define and prioritize their goals. In order to achieve these goals, he works to develop and implement financial strategies. Christopher also is passionate about protecting the financial wellness of his clients. He focuses on what is right for his clients and strives to educate them so they can make informed choices about their financial future. Christopher is an Investment Advisor Representative with Voya Financial Advisors. 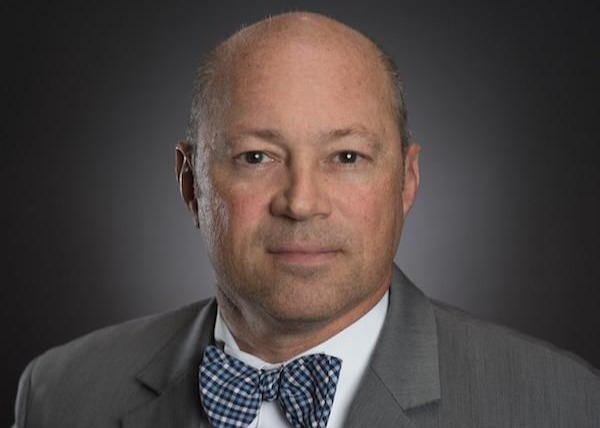 He holds both Chartered Financial Consultant and Chartered Life Underwriter designations from the American College of Financial Services, along with FINRA Series 6,63 registrations. He is also licensed in life, health, disability and variable insurances. Christopher lives in Troy Michigan, where he has proudly served 15 years with the Troy Fire Department. After serving eight years as firefighter, he eventually achieved the rank of Captain of his station. His passion for leadership and helping others has carried into all aspects of his life. Jimm F. White is a Financial Advisor who provides securities and investment advisory services through Voya Financial Advisors. He has been in the financial services industry since 1998. Jimm has passed the FINRA examinations in series 7, 24, 63 and 65, and is licensed to sell life, health, and variable insurance products. Jimm practiced law for over 30 years, with an emphasis on estate and business planning, and business litigation. Wayne State University Law School awarded him both the J.D. and LLM (taxation) degrees, and also named him to the Wayne Law Review. He received his Bachelor’s degree from the University of Michigan. After graduating from Owosso High School, he also studied at Kalamazoo College. Jimm has a long record of giving back the community. 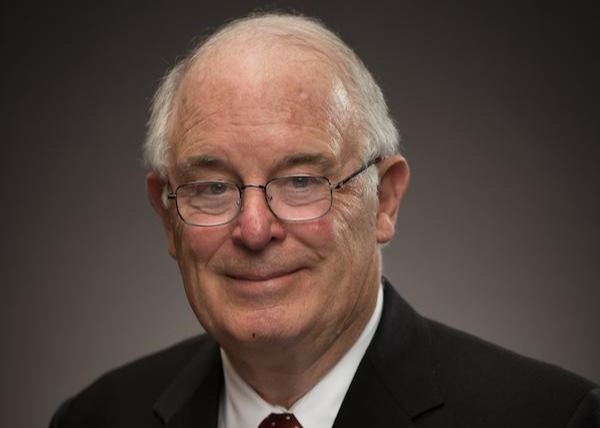 He has served as Chairman of the Salvation Army’s Metropolitan Detroit Advisory Board, as well as Chair and long term member of its Property Committee. He currently serves as Chair of the Salvation Army’s Farmington Hills Corps Council. He also has been an officer and long term member of the William Booth Legal Aid Clinic. He has served as President of Temple Israel and continues to serve on its Board of Trustees. He is also a docent at the Holocaust Memorial Center. Jimm is lives with his wife, Lillian, in Farmington Hills, and has grandchildren in Israel, North Carolina, and Michigan. * Does not provide legal services on behalf of Voya Financial Advisors. John “Jay” Schuch is a Financial Adviser with Horizon Advisers. Jay believes everyone deserves the benefit of the financial planning experience, and his main focus is helping others invest for a comfortable and secure retirement. He understands every household is unique, and therefore, believes that every plan should accommodate his clients accordingly. Jay works closely with his clients to help determine their goals and priorities, and then provides the guidance needed to achieve them. He is committed to providing a relationship that is professional, informative, and confidential. As part of a dedication to Horizon’s service oriented values, Jay will often travel to meet with his clients face-to-face at any of the several Horizon Advisers offices located throughout Southeast Michigan, and can make in home or on-site visits when needed. His top priority always has been – and always will be – putting his client’s best interests first. 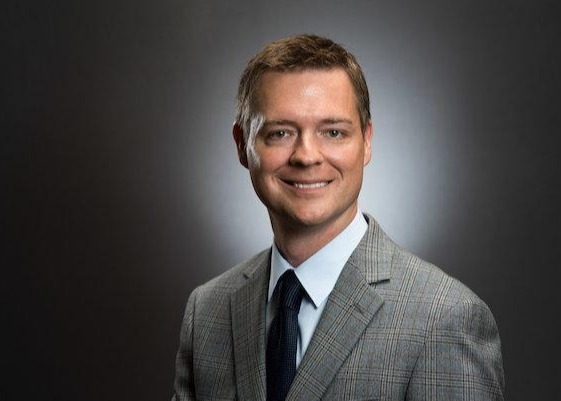 Jay received his Bachelor’s degree from Western Michigan University; shortly after, he went on to complete his Masters of Business Administration with a Concentration in Finance through the Executive Program at the University of Michigan-Flint. He holds the Chartered Retirement Planning Counselor designation from the College for Financial Planning, as well as the FINRA Series 7 and Series 66 registrations. He is also licensed in life, accident and health, and variable insurances. Jay was born and raised in Northeast Metro-Detroit. He attended Immaculate Conception in Anchorville, followed by De La Salle High School in Warren. Jay, an avid sports fan, played lacrosse and soccer in high school, and participated in various clubs offered to the students. He and his wife, Sarah, try visit Kalamazoo several times a year, and at the very least make it back for the annual homecoming weekend at WMU. Today, Jay and Sarah reside in New Baltimore, Michigan. He enjoys sailing, traveling, and spending time with family and friends. 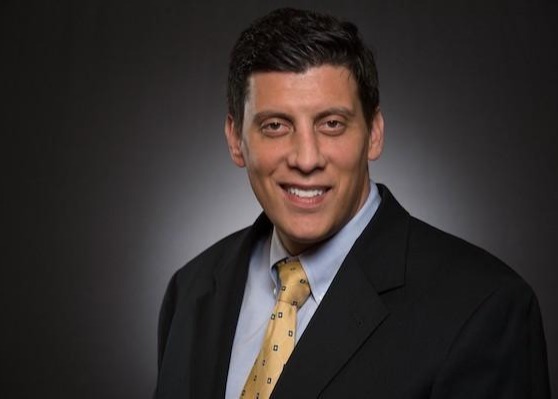 He is active in his community and with local charities, and has served on the board of directors of Branches Crew, a local nonprofit whose mission is to assist under privileged children in the Metro-Detroit area. 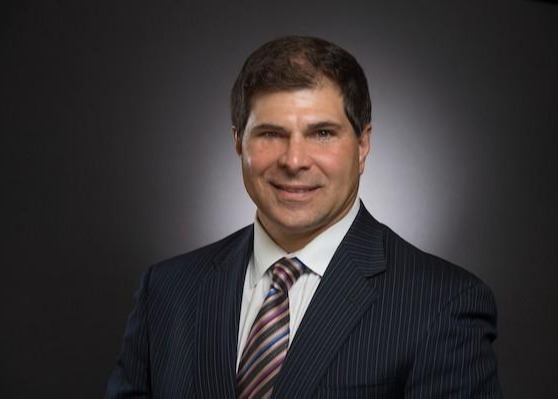 Louis M. Messina is a Financial Adviser with Horizon Advisers. Louis has dedicated his career to helping clients define priorities and address their needs, wants, and wishes. He understands the importance of a professional and confidential relationship. Louis works with clients to develop and implement financial strategies that help them obtain a secure, dignified, and comfortable retirement. He puts clients' best interest above all else, and then focuses on education, allowing clients to take ownership of their financial future. Louis majored in Finance when he earned his Bachelor of Business Administration from Walsh College. In addition to his degree, Louis holds FINRA series 63, 65, and 7 registrations, as well as licensed in life, health, accident and variable insurances. Louis is a lifetime resident of Shelby Township, Michigan. He enjoys seeing his extended family and spending time outdoors with his friends; but his greatest reward comes from helping people and seeing the positive impact he has on their lives. His passion for helping people around him is evident in his work and reflected in his personal life and relationships. At a young age, Matt knew he wanted to study finance and use this knowledge to help the public as a financial advisor. Matt was accepted into Michigan State University in the fall of 2009. While at MSU, Matt majored in Finance at the Eli Broad College of Business. Matt was selected to study abroad in the Marketing and International Comparative Dimensions of Business in Europe program. He traveled through France, Switzerland, Spain and Belgium, and visited some of Europe’s top companies while working on several team projects, giving him a unique perspective on global companies. He has passed his Series 7 exam which allows him to sell securities and makes him an Investment Adviser Representative with Voya Financial Advisors, Inc. He also has the FINRA Series 66 license. Since joining Horizon, Matt has created hundreds of financial plans for clients. He has a detailed understanding of all the factors that create an outlook on retirement. Around home Matt enjoys playing hockey, flag football, softball and golf. In the summer he loves to get out on the pontoon and enjoy the lake. Tom’s career began in the early 1990s when he got his start with a discount brokerage firm in Troy, Michigan. In 1997 he became an investment professional for ABN AMRO Investment Services, where he acquired his financial services experience. While at ABN AMRO, Tom received a President’s Council award for achieving the highest level of professional excellence in providing financial guidance. In 2000, he sought out the expertise of a wire-house operation and joined Oppenheimer & Co. Inc., working with high net worth individuals, small businesses and corporations of various sizes. Tom has significant experience evaluating investment needs and helping deliver appropriate investment products and services. 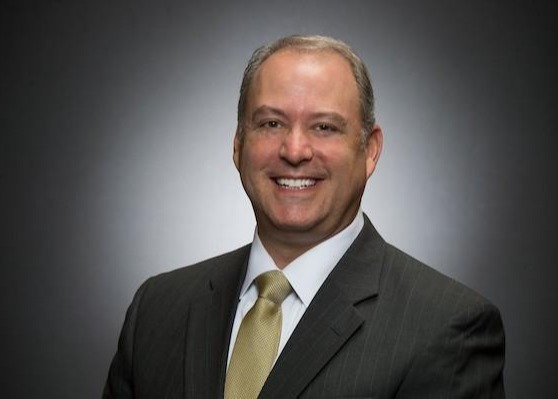 He also spearheaded the startup of a local title insurance business, supervising the coordination and implementation of residential and commercial loans while overseeing the operations of the company. 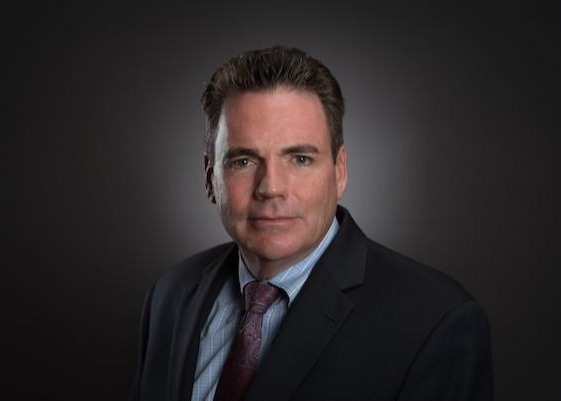 Tom is a graduate of Oakland University School of Business, Finance (1993) and currently resides in Sterling Heights, Michigan, with his wife and two sons. He appreciates the arts, enjoys travel and is actively involved in various sports (golf, tennis, softball and racquetball). Tom is also a Theta Chi Alumni (Eta Phi Chapter, Oakland University, 1993). Emily is a native of the metro Detroit area and has a Bachelor's Degree in Hospitality Business from Michigan State University. Emily began her career at one of the top event design studios in Metro Detroit. 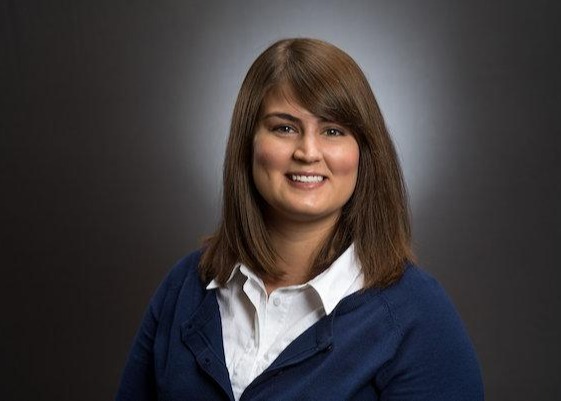 As a manager, Emily oversaw the organization and design execution of all company events. At Horizon Advisers, she now maintains operational effectiveness through systems management and assists with all compliance matters for the firm. In her free time, Emily enjoys spending time with her husband, Patrick, and their daughter Olivia. Patti is a native of the metro Detroit area and a graduate from Miami of Ohio where she received a Bachelor Degree of Science in Accounting. 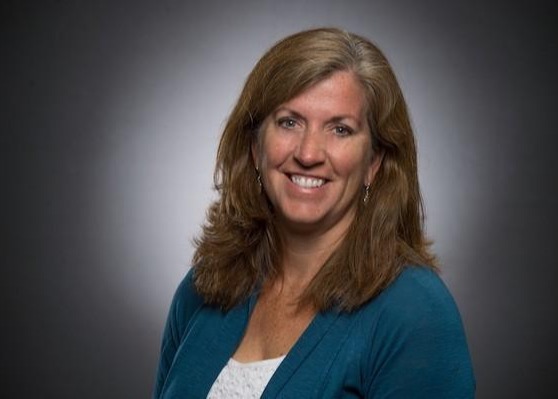 Patti has seven years of experience working in the accounting field as an assistant controller for a private company. Patti focuses on assisting reps with securities transactions for clients while maintaining organization of client files and systems management. In Patti's free time she enjoys spending time with her husband Chris and their children; Joey, MaryGrace, and Emma. Terry has devoted the last 22 years to an expansive career in Mortgage Lending and the Management thereof. He began his mortgage career in July 1989 with GMAC Mortgage earning several awards in both production and management. Terry is currently a Licensed Loan Officer with National Home Lending, a division of Gold Star Financial Mortgage Services Group, Inc. (NMLS License # 380137). Terry specializes in providing a comprehensive portfolio of Conventional and Jumbo Mortgages. In this ever-changing market, Terry’s wealth of knowledge and targeted problem-solving abilities set him apart. Along with providing lending to families, Terry has also been working with insurance products for the past seven years. He has focused on working with estate planning utilizing life insurance and Long-Term Care. Being independent, he is able to choose from any insurance company he believes is best for the client’s situation, which has given him a strong advantage. Terry has lived in Northville, Michigan, for over 17 years. He is an avid golfer, and loves to travel and play hockey. Terry played as team captain of varsity hockey for the University of Alabama in Huntsville and was a member of the UAH varsity hockey team. 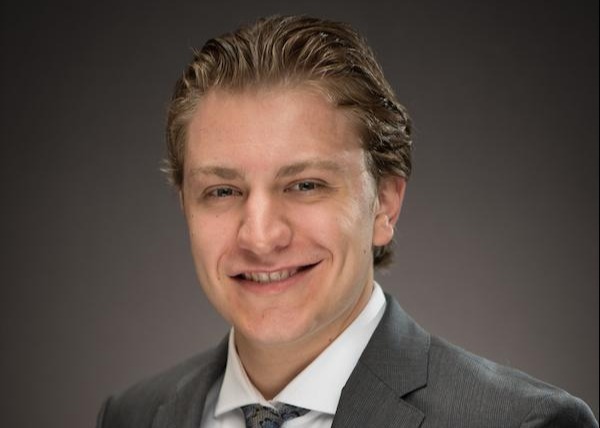 He also enjoys being active in the community and is a passionate coach for Novi AA travel Ice Cats and is an active board member for the charity CATCH. National Home Lending is not affiliated with Voya Financial Advisors. Beginning as Horizon Wealth Management, our firm was formed in 2012. We realized that being independent was the only way we could avoid conflicts and truly serve our clients’ best interests. Our team quickly attracted industry talent with our integrity and client-focused approach. We achieved our goal of becoming a comprehensive financial planning firm. Although we built a team and delivered to our clients as promised, we realized that there was a powerful synergy with accountants. Understanding that no financial decision is sound until all tax implications are considered, we merged with a local CPA firm to complete our circle of comprehensive financial services — offering our clients everything they need to make smart decisions for their futures, as well the futures of their families and businesses. Empowering our clients to make informed financial decisions, we firmly believe that if you don’t know where you are, it’s nearly impossible to know where you are going. Through pre-scheduled periodic review meetings, we will make sure we stay actively involved in your financial life, giving you the confidence you need to live your life to the fullest. Investment management requires experience, knowledge, and trust. We believe that the foundation of our relationship starts and ends here. We promise to listen to your needs and deliver sound guidance through all economic situations. We are professionals with strong moral character. We actively practice this in business and in our community. We strive to always be fair, honest and transparent with everyone we serve. We treat our clients like family — never imposing any unfair judgment and always providing you with advice and guidance that best suits your needs. Discuss the high-level aspects of your financial situation. Create objectives based on your needs and goals. Review our initial financial plan and recommendations. Discuss timeline and necessary resources to achieve your goals. Decide whether or not to move forward with the relationship. Whether you decide to retain us or not, we’re committed financial professionals passionate about educating you on your financial situation. Keep your best interests first. Purely motivated by your own success, our recommendations are solely based upon your unique needs and goals. Even if you have a trusted relationship currently, going through our holistic process allows you to see your situation from a different perspective. Another opinion can show you whether or not you are receiving maximum value. With collaboration at the forefront of our firm, we believe in a team approach when it comes to the many facets of financial planning. Our advisors focus on a breadth of financial disciplines, enabling us to perfect our individual strategies and create a holistic plan that maximizes opportunity and minimizes inadequacies. By proactively looking at your tax situation throughout the year and forecasting into the future, we can help you make better decisions about your taxes today. We’ll review your tax documents and history to help make sure you only pay what's required. And because tax codes are constantly changing, we’ll review your financial plan regularly to help make sure your after-tax return is optimized at all times. Many people’s investments lack a clearly defined purpose. While their portfolios may be well-diversified and generating acceptable returns, there is no sound financial plan and strategy in place to guide their investment decisions. With your financial plan as the foundation of our investment strategy, we’ll help ensure every dollar you invest gets you closer to achieving your goals. How do you want to be remembered? Estate planning is more than just making sure your assets go to the right people at the right time and that a probate court judge is not determining who inherits your life’s work. After establishing your goals and objectives, we’ll review a variety of factors to determine potential long-term care expenses, outdated and underperforming insurance policies and tax-efficient strategies to distribute your assets to your chosen beneficiaries. Whether you need life insurance, long-term care, health or disability insurance, we’ll evaluate your current policies and implement new coverage based on the evolving needs of both you and your family. Our experience and knowledge in various types of insurance will help provide financial confidence knowing your assets and health are protected from the unexpected. Using propriety software, we'll help you understand your income sources (such as Social Security and pension) in an easy-to-understand format. We will then create different buckets for your distributions that align with your time horizon until withdrawal, providing you with clarity on how your investments should be allocated. With this income plan, you’ll finally be able to look forward to your retirement. We'll help you take out the emotion that comes with investing over a long horizon. Between your employees’ needs and your business’s resources. As financial planners and business owners, we can help your company stay ahead of increased scrutiny of retirement plans’ fiduciary requirements. Being independent allows us to tailor your 401(k) plan to your organization’s size and needs — with a focus on keeping investment costs low — making sure the things you outline benefit the right people. The quality of the current investment platform, total plan cost and vendor revenue. A documented investment policy statement. In addition to traditional retirement plans, we also design defined benefit plans, non-qualified deferred compensation plans and executive benefit and retention tools. Through our commitment to integrity, accuracy and specialty. As a holistic financial planning firm, we’ve merged our advisers with tax experts, enabling us to deliver even more comprehensive advice — recommendations that not only suit your unique financial needs, but that also counteract any negative tax implications. Whether you’re an individual or a business, potential tax consequences are often unseen by the untrained eye. That’s why we make sure we retain only the best and the brightest staff — implementing time-tested strategies to reduce your expenses, as well as providing ongoing education so you understand the rhyme and reason behind every decision. Long-term care costs are rising every day. Increasing costs mixed with an elevated life expectancy means planning ahead for the future is no longer an option. Even if you’re far from your retirement, it’s never too early to start allocating your resources to ensure you’re covered through whatever life may bring. Our practice provides elder care services, with advisors who have navigated a wide range of long-term care issues and circumstances, enabling them to create proactive strategies and personalized tools to help secure your assets and protect your livelihood from being adversely affected by unexpected ailments, losses and more. Our complimentary seminars are offered throughout the year and provide a variety of insights and education into various financial planning topics. Through these seminars, we hope to instill a newfound understanding of the services we offer and the benefits they can bring. Welcome to Horizon Advisers University (HAU): your one-stop shop for in-depth education on today’s most pressing financial planning topics. Here you’ll find a breadth of content covering subjects such as estate planning, insurance, retirement plans and more. Be sure to revisit this page periodically — we’ll be adding new topics every month! Requires forward-thinking, objective advice — not a sales pitch. At Horizon Advisers, we believe sound financial strategies begin with the end in mind. From buying a home to running a business, we can help you make the most out of every stage of life with proactive guidance and insight into the most effective ways to maximize your wealth and secure the futures of both you and your family for years to come. Contact us today at info@horizonadviser.com. We are licensed to sell Insurance Products in CO, FL, MD, MI, MN, NC, NE, NJ, NY, OK, TN, VA.
We are registered to sell Securities in AZ, CA, CO, FL, GA, IL, IA, KY, MI, MN, NC, NJ, NY, SC, TN, TX, VA.
Tax and accounting services provided by Horizon Advisers, an independent entity, not affiliated with Voya Financial Advisors. Horizon Advisers is not a subsidiary of nor controlled by Voya Financial Advisors.